Platforms: iOS, Android, Steam, Windows 10 Store, PlayStation Vita. SaGa is not your typical JRPG. SaGa looks and plays like a JRPG, but it's anything but. It has a very peculiar vision of what an RPG is. The series is obtuse in the best and worst ways. Square-Enix has many franchises, but the SaGa series is their experimental line. Nonlinearity and branching choices are series hallmarks, and Romancing SaGa 2 has a lot going on under the hood. SaGa wants to be replayed, it wants every person's playthrough to be unique and personalized. At the same time, it wants everyone's path to be a valid path. Want to create a team of magic users? Go for it. All swords? That can work. Rapiers only? Groovy. 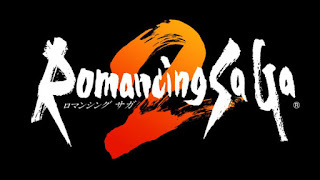 Romancing SaGa 2 follows a family line throughout the centuries battling the seven legendary heroes. The player chooses an emperor or empress at the start screen, and the game begins at the start of their lineage. Each generation will advance the kingdom, opening new spells, equipment, and techniques. As each emperor dies, all their experience inherited by the next emperor. So don't worry about dying. It's not a game over, but a retry. Think of something like the Souls series, and you'll understand the gameplay loop SaGa goes for. This remake of Romancing SaGa 2 brings HD visuals from backgrounds to sprites. Luckily, Romancing SaGa 2 avoided the RPG Maker look some of the mobile Final Fantasy remakes have been given. Side-by-side comparisons show an accurate likeness to the original. Even in full screen, the pixels hold up clear. Note: Initially, the Steam version was just an Android port, complete with the on-screen buttons still there. A patch has come out that removes those buttons while also having labeled controller support on the menus. If you go on Steam, you'll see a lot of negative reviews about these things when they were present. In addition to the revamped visuals, new dungeons, extra classes, New Game +, and a new scenario are all featured in this game. Now, will the game tell you how these systems work? No. Not at all. A lot of people play up the difficulty of the SaGa games. This is a bad way to describe them. SaGa games are hard. They'll absolutely throw a mega boss on an under-leveled party, but every encounter has options. This requires a different mindset. Abilities are learned through Sparking, which means a light bulb appears over their head through RNG. The more swords they swing, the more likely they'll spark a sword ability. The more bows they use, the more bow abilities they'll have. Stats also increase in this manner. This RNG helps promote an individual's style of playing. Whatever you choose, your characters will improve and get better. A typical JRPG is about grinding until your party's numbers until they are bigger than the enemies numbers. Battles in Romancing SaGa 2 resemble more puzzles than anything else. The scariest part for new players is the fear of grinding. SaGa uses a global encounter meter, which means the more fights the player is involved in, the more difficult all enemies become. This plays more like a tightrope act, where if the player grinds too much, the general monsters will be difficult, but if they grind too little, the bosses will be too strong to overcome. Grinding is just a habit in RPGs that has become the standard. After every battle, every single character will return to full health. If they reach zero health, they lose one Life Point from the number that they have. Once all Life Points are gone, permanent death. This sounds like a scarier mechanic than it is. Emperors inherit everything from the previous generation, so there is no real loss, and party members can always be recruited again. The generation skip means you'll always be going through party members, which means your party will should always be topped up on LP. Scenarios and castle management also play a large role in how the game will play out. Branching events will alter the gameplay experience. Choosing certain quests may mean the next dungeon is easier, but at the cost of something else. Certain events don't trigger unless you build up the correct resources in your castle. Certain bosses change based on how many encounters the party has faced. Some bosses will appear based on sheer luck. Due to the number of scenarios and knowledge about them, this means there isn't any true way to play. A game like Persona is built around min/maxing a schedule of school work, studying, sidequests, and grinding in dungeons, but SaGa does not. Party member formation, building the Magic research Facility, making the correct friends, these are all variations to the quest at large. Play, lose, learn, repeat. My verdict for Romancing SaGa 2 on Steam is a high recommendation, with the knowledge that this is a SaGa game. Even in 2017, a remake of a SNES game feels fresh, which is a testament to Akitoshi Kawazu's insane vision. There isn't another RPG like this. A real one-of-a-kind. The ability to play with a controller is a good reason to choose the PC version over the mobile version. If you love old school RPGs with high difficulty and can look past the port job, Romancing SaGa 2 will give you an experience you didn't know existed. This wouldn't be a SaGa game if the mechanics weren't obtuse. Here I'll give you some tips and tricks to make your experience a little more comfortable. Don't grind. SaGa games don't like grinding. There is a reason they completely heal you after every battle. Forward momentum is key! Every fight is supposed to be about resource management and a little bit of RNG. Don't worry if you don't feel in control. Hidden stats make sure you don't fall into unwinnable situations. Save scum if scared. Sitting on the throne is how you build your empire. Sit often and see what you can make. Stop running into battles! When you run into battle, your formation breaks. If you're using a certain formation to keep your glass cannons in the back, you'll find that the battle starts in you in a free-for-all formation. Take care of your surroundings and run when you have to run. If enemies are close, slow down before you engage. Sparking. You don't have levels, and levels don't matter. All that matters is the light bulb above your head. The light bulb takes place when a character learns a new skill. Learning anything has a little bit of RNG, so you never know when a spark is going to happen. The probability of a spark taking place increases as you encounter a tough enemy. If all you do is grind low level enemies, your probability to spark drops. Again, don't grind. LP means life! There are a few rare items that will restore LP to characters. If characters tell you they're good at one thing, that's what they're good at. Many of the scenarios allow access to new classes, such as martial artist, pirate, ninja, thief, so don't be afraid to experiment with new characters using new formations. Building new areas or researching new weapons and armor will be based off number of battles fought. Grind a couple of battle out and see if progress is completed. Another hint, make sure to check on your Orchid often, so the tree will grow and kingdom revenue will increase. Magic doesn't spark like skills do. Instead, use of magic at least once per battle will level up that element. Once a "global" level of magic reaches 15 in each element, go to the Magic Research Facility that must be built and learn new magic. The global level is the cumulative levels all party member add, so even previous generation increase this number.